When it comes to mysteries and thrillers, there are a lot of them out there. And when it comes to a series, you want a character you at least like, enjoy reading about, and can look forward to with each book and a new mystery to solve. Karen Vail is one of those characters. She’s ones of the foremost FBI profilers who has done her work and time at Quantico, climbing the ranks, and is one of the more successful women working for the Federal Bureau of Investigation. Author Alan Jacobson put his work in with this character and series, working on it for seven years before publishing the first Karen Vail book. He made friends with a number of people at Quantico and the FBI, learning and educating himself in just about everything so that when he starts working on one of his Karen Vail books, he has the FBI tools to make the characters real and the story not just plausible, but a great example of what goes on at in the world of the FBI every day. You know you’ve made it in your genre when you have laws of magic named after you, and Brandon Sanderson does have two laws of magic, though in his case he came up with them and has written essays and made recordings about them, they have gone on to become popular and accepted laws for magic systems in the fantasy genre. Sanderson has been writing epic fantasy since he was a teenager, and wrote a large number of books before he got his first one published. He has gone on to publish a number of standalone novels, as well as a trilogy and the first tome in an epic ten-book series. He has also written young adult series and novels, as well as short stories and novellas all set within the fantasy genre. So he’s put down a lot of words in the world of fantasy, and has also talked a lot about the genre and writing, and has brought a wealth of experience and knowledge to it, easily making him one of the more respected and best fantasy writers writing today. Ebook review copies are something most people think would be the main way of reviewing books these days, but it is still pretty much a fifty-fifty split with ARCs (advanced reader copies) and finished print books. With the development and growth of ebooks over the last few years, with the format growing in popularity each year — ebook sales are up 43% from last year — it seems logical with the world becoming more and more ecologically- and recycling-minded that reviewing books would just pretty much switch to ebook format only. But that continues not to be the case. Perhaps this is because just as the reading world isn’t full of ebook coverts and those fully committed to only reading books in the electronic format, the reviewing world is much the same. When it comes to ebooks it all about digital format, much like region settings for DVDs or — and here I’m dating myself — different old video cassette formats that only work in certain parts of the world. Ebooks come in different formats, and are actually available in a variety of different ones, but not every ebook can be available to readers in ten or twenty different formats. Publishers and self-publishers have to put in the work at creating and converting ebooks to specific formats which costs time and money. The good news is that the ereading world cottoned on to this fairly early and there are now essentially three main accepted formats of ebook: EPUB, MOBI and PDF. Half the reason I chose to finally get myself an ereader was for the digital review copy aspect. 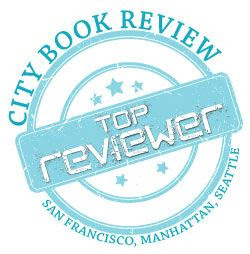 I’ve been reviewing books for over a decade and with the development and growth over the last few years of not just ebooks, but also the world of digital review copies and ebook reviewing, I couldn’t help but feel I was missing out on a facet of reviewing. I rarely don’t have my next book picked out and waiting to be read and reviewed on my shelf, but I knew there were virtual shelves of books out there that I could be e-partaking of. But first I had to get myself an ereader, which is an interesting story in itself. 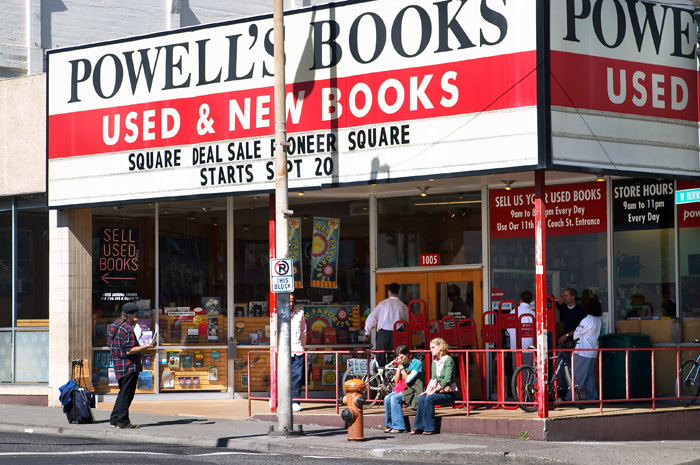 If you’re any sort of book fan who enjoys frequenting used bookstores, then you’ve probably heard of Powell’s in Oregon. They have a couple of stores, and their mighty, multi-storied one is in Portland has its own special map to help you find your way around its labyrinthine stacks. Going there for a book lover must be like going to Disneyland; one day I’ll go. Powell’s also has a full website where one can buy both new and used books, as well as DVDs and movies. The other great thing about the Powell’s website is you can sell your used books there. It’s an ingeniously simple process. You simply plug in the ISBN of the book (located above the barcode and on the copyright page) and the page does its searching thing and decides whether Powell’s needs a copy of this particular book or not, and how much they will give you for it. You even have the option of choosing virtual credit to buy items through the website (this is how I eventually got my Complete Series of The X-Files), or getting money through Paypal. You can enter just about any number of books, and Powell’s will let you know which ones they want and which ones they don’t need at this point in time. If you agree to it, and how you want to be paid, you then accept the terms and get the address label and postage emailed to you, which you just print out and slap on the box of books, and Powell’s covers all shipping costs to mail your sold books to them. 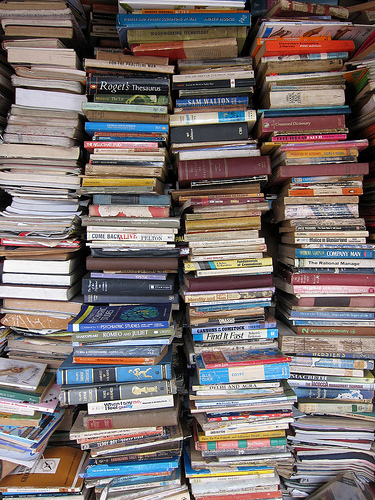 Once they receive the books – which can take some time as it travels by media mail – you then get your money. It’s as simple as that. I review a lot of books each year, in addition to reading many, and from week to week there are a number of books being delivered to my humble abode. When I’m done with these books, after reading and reviewing them, some I choose to keep, if I really enjoyed them; some I give to friends to enjoy; and the rest I sell through Powell’s. Around November of last year, Powell’s all of a sudden started selling ereaders through their website, specifically Kobo, including the Kobo Mini and Kobo Glo. Upon discovering this — as I made clear in Part 1 of this series, ereaders aren’t cheap, which is why I hadn’t acquired one yet — I saw my chance to finally get myself an ereader. So I began saving my Powell’s virtual credit, selling off my reviewed books, as well as thinning some of my bookshelves, clearing out volumes I no longer really needed to own. And yes, part of my thinking process in this was also: well, I could have these number of books taking up these number of shelves that I’m not going to read too often, or I could have digital copies of them on my ereader where they would take up a fraction of the virtual space. It took me some time . . . at least a month I’d say, and then I had enough credit to purchase my Kobo Glo (so I would also be able to enjoy ereading at night), as well as nice protective case for it. While there are many ereaders to choose from out there, the Kobo Glo was a good fit for me, other than the fact that it was essentially free with my getting rid of my books, all I really needed was a device for ereading. I didn’t need an iPad or a tablet; I have a PC and a laptop; it’s an ereader I didn’t have. With the E-Ink screen it works great in bright light without any glare. 2 gigs of memory gives me space for many thousands of books. Plus the whole light thing means I can enjoy ereading in the dark. The battery life is long and dependable, as has always been the case with Kobo ereaders. I rarely need to charge it. As for ereading software, I use the free Kobo program which helps me keep track of my shelves and what I have, and buying books is real easy. I also use the Adobe Digital Editions program, which is free to download, and makes it real easy to download and add new ebooks, organize my shelves, move the ebooks over to my ereader, and even read ebooks real easy on my computer with this software. The menu options and the touch screen on the Kobo Glo make it real easy to use and organize your ebooks. There is also the option of highlighting, adding notes, and using the dictionary if needed. The swipe while not the patented page flip of the iPad, is fast and every fifth page leads to a page fresh because of the E-Ink, which is a little distracting at first, but you soon become used to it. 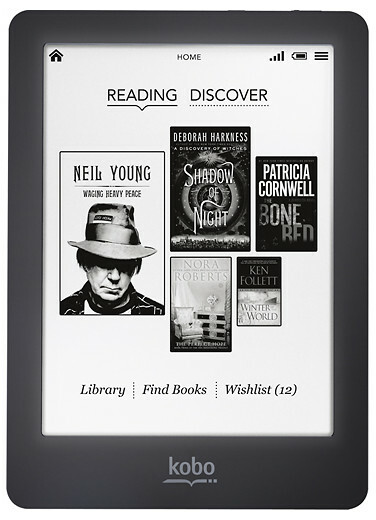 Finally, like with all the Kobo ereaders, there are badge awards for repeatedly reading at certain periods of time during the day and night, and serve as a friendly tracking stat for your ereading and serve to make it more enjoyable. Ereading is everything I expected it would be, and the Kobo Glo makes it comfortable and enjoyable, and while it never will replace print books for me as the dominant way to read, my ereading has certainly increased.